For the last few years I have been learning more and more about the human condition, our mental models and the mindsets that shape our behaviour and decisions. Because our own models of world are so obscured, we are pretty good at leaving them unexamined … to us they speak the truth. However, for transformational change to occur, the process of questioning our mental models (and underlying assumptions) is a critical step. It’s a process and a conversation we need to engage in more honestly, with ourselves and in groups. 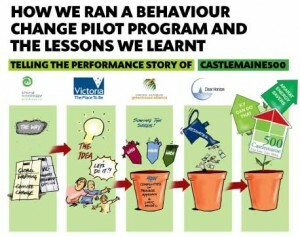 Between 2006 and 2008 I lead a community, behaviour change project called Castlemaine 50. You can read about it here. Because we failed to reach the project energy reduction targets, my own mental models and assumptions about human behaviour change we challenged! For a while the results turned my world upside down, but with wise people around me, I began to ask questions and look for new ways of understanding human behaviour and how stuff spreads and changes through communities. In this chapter we introduced the concept of ‘Complexity’ by using Dave Snowden’s Cynefin Framework. We explored a different model of change in viewing people as a social species driven to connect and be influenced by those around us – often subconsciously. 3 years on, I am still learning. I am continuing to challenge my own worldviews, which has re shaped the way I facilitate, the way I parent and has increased my ability to pay attention and notice what is happening in the moment. In my consulting work I am challenging clients to explore their own mental models, assumptions and principles. I am supported in this journey by those around including Viv McWaters, Chris Corrigan, Anne Pattillo and Johnnie Moore. I loved this presentation and it opens up so many questions about ourselves, our teams and the way we lead. David explores new insights into human nature from the cognitive sciences with massive implications for economics and politics as well as our own self. A classic on why ‘Principles and Practices’ are needed in the complex space, rather than the ‘Tools and Rules’ which are effective in simple and complicated spaces. The focus on our collective ’empathic’ capacity stood out for me in this animated lecture. How do we nurture this capacity in ourselves and in others? Recently, I have had many requests for copies of the Castlemaine 500 Report – a report that I co-authored in relation to a community scale sustainability project that ran a few years ago in Castlemaine. You can read more about the project here. The failures of our efforts to bring about change (i.e. 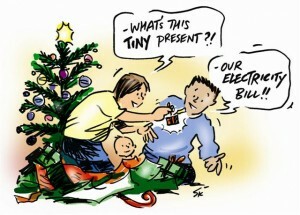 sustained reduction of household energy use) were confronting. I was lucky to have a client (thanks Bron) and a team (you know who you are) willing to go on a learning journey and explore ‘why’. After 12 months we responded to our observations and changed direction. We started to focus on the emerging stuff that was working … that leadership and capacity of the community itself. Our ‘inquiry’ lead to new ways of thinking and, for me anyway, a whole new worldview on ‘How Stuff Changes’ emerged. If there is 1 section of the report to read, I would direct you to Chapter 3 Principles: Getting the Mindset Right. Much of the writing in this chapter informs everything I do now. The people and community of Castlemaine. Let’s face it, relationships between people are everything and I have been gifted with a whole new network of people. This blog space emerged from my need to connect with others during the ‘dark days’ of running this project. 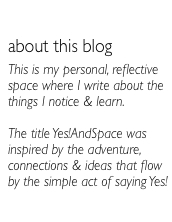 Thanks to Viv McWaters, I started writing in this space and connecting to others around the world. Through blogging and ‘showing up’ and contributing to other people’s work, I find myself blessed with a worldwide network of great thinkers, writers and artists who I can call on at any time to collaborate with. In writing the report, Curtis Riddington and I decided at the outset to create a ‘remarkable’ report story – that is, something that would be ‘remarked on’ and even criticised. We employed a cartoonist (Simon Kneebone) and a design company in the Netherlands (Studio GloriusVandeVen). Our first drafts of the report were described as being ‘way too harsh’. In the end we toned it down and I regret we removed the stuff in the first paragraph about the importance of learning from failure. In sum … Nowadays I expect to fail more and therefore I learn more . When trying to ‘change things’ I am a disrupter and expect criticism (keeping everyone happy when dealing with complex stuff is futile). Share everything, give it away and connect with others and often. Let go of control and be prepared to improvise. Before you try to change everything … start by simply opening your senses, slowing down and noticing more. 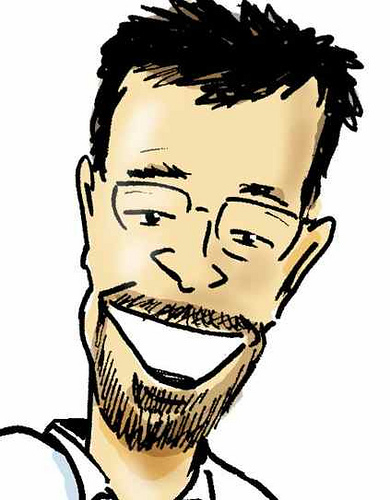 Neil Perkin penned this terrific post Agile Planning. This post resonated loudly with me because of the recent work I have been doing as a facilitator with Government agencies. Also, the upcoming Show Me The Change conference in Melbourne this May is also linked. … welcoming of changing requirements, even late in development, because it is an opportunity to harness change for competitive advantage. Big business creates big projects that take a long time to confirm, implement, and complete. Projects are often stalled by hierarchical management processes. … focused on frequent deliverables, with a preference for shippable product and shorter cycles, and implemented at a constant pace which is measured and transparent. … centred around the belief that the best results come from self-organising teams. Teams that reflect regularly on how to become more effective, then adjust behaviours accordingly. … projects are built around trusted, motivated individuals who are given the environment and support they need. … documentation is kept to a minimum, with face-to-face communication preferred, and a focus on simplicity – maximising the amount of work not done. Recently, I have noticed the word ‘Agile’ showing up in the ‘Strategic Objectives’ of agency and corporate plans. Whilst it great to see that agility is being recognised in words, I see little evidence of agility being practiced. When we begin to talk about what organisations need to become to be agile in a complex environment, I notice a lot of push-back and fear. In fact recently, when I presented the features of High Reliability Organisations (HRO’s) the response was that they appeared ‘too risky’. In other words, many are fearful of letting go of control … and are not prepared to make (and learn from) mistakes. They are still caught up in the Tyranny of Excellence – of trying to be clever and get everything right. Listen to this podcast featuring Johnnie Moore, Viv McWaters and David Robinson to learn more about the Tyranny of Excellence. Ok, so what’s this conference got to do with Agility? Everything!!!! Participants who are coming to Show Me The Change (deep down) know that our current approach to the design, staging and evaluation of behaviour change projects needs a re-think. We need to take stock and challenge our assumptions about behaviour change and the goals that we set. 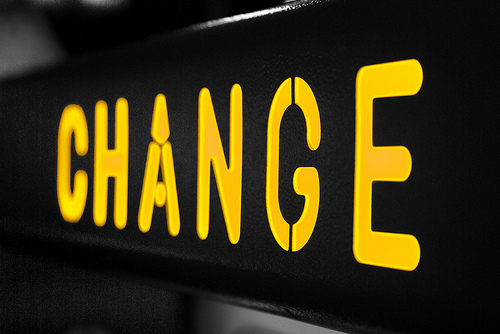 We have tinkered with ‘behaviour change’ tools and tactics for long enough. It’s time to go deeper. In the context of ‘Behaviour Change projects’, agility is a mindset and NOT a set of processes, strategies and tools. It’s a philosophy that everyone involved adopts. Design projects that can be ‘monitored’ – By monitor I mean we can quickly notice if things are working or not. It’s no good if you need to wait 12 months for the data you need! Challenge the ‘Goals’ and ‘Evaluation Measures’ imposed on you by funders – Often we get asked to report a whole heap of indicators that are useless. At times, even the underlying goal of a project is unattainable … it’s aspirational at best. Don’t get sucked in to being ‘measured’ against such goals/aims. Have these conversations early. Challenge the direction and priorities of your project as it emerges – If you pay attention and monitor your project, new insights will emerge. Many will be unexpected and point to new priorities. Don’t be afraid to challenge your project plan and re work it along the way. Again, have these conersations early on. Collect and share Stories – Stories of failure and success are critical. Stories are memorable and they stick. Analysis of stories can uncover patterns that data analysis misses. Don’t be fearful of failure – Did I say that already? A report that I proudly co-authored is now available! It tells a story about a project called Castlemaine 500 (which I also helped to orchestrate) … it’s successes, failures and the lessons learned. It is also an example of how an evaluation report can come alive with design, cartoons and stories! 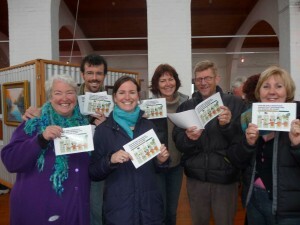 The Castlemaine 500 Performance Story Report was recently launched. You can watch interviews with participating households here. The best summary of the project is contained in the report though! If you want a hard copy of the report booklet email me. If you want to download it click here. In this TEDcast, Clay Shirky (author of Here Comes Everybody) reinforces my belief that we are living through a revolution in the way people interact and collaborate with each other. I’d love to hear what Clay has to say about the impact that Twitterers within Iran are having right now. Like in his original TED talk, new social media is changing the media landscape and giving the man/woman/child on the street a voice to the world … instantly. Last night I helped the Australian Conservation Foundation to run another of their GreenHomes workshops with a great bunch of people from Geelong, Victoria. Our topic was water and our focus was to bring people together to learn from and inspire each other. In most workshops, it’s easy to get everyone feeling motivated and inspired to change the world. When you bring people together into a supported space and give them something to do, I find that most people seize the moment and get involved. What else can we do, as project coordinators, to support ongoing social connection (and support) after the workshop? Now don’t get me wrong, these goals remain central to our efforts to save the planet. BUT! These goals also drive the project’s focus and activities. As a result, the activities and tactics remain focused on information transmission about the why and how – build knowledge and skills as a foundation for change. What if that’s wrong? Many people are now recognising the importance of building the capacity of individuals to lead their own projects. Some are also using the time at workshops to connect participants and encourage relationship building and support – build relationships and help participants to recognise the wisdom and skills to change are in the crowd. The Castlemaine 500 project, the SLAH program in City of Port Phillip and the ACF GreenHome program are doing all of these things. What if we changed our worldview the project goals? Let’s assume that being able to predict and control behaviour change is complex. In other words, the links between cause and effect are not know-able ahead of time AND even in hindsight the links are just as fuzzy. Let’s also assume that people don’t really care much about you or your project (eg. C500, SLAH) and let’s assume that most people want to belong to a group (or a Tribe as in Seth Godin’s book Tribes). So … what your participant’s really value and care about are the relationships between each other. What if behaviour change is driven by primarily by the influence of people/peers around us and is not an individual process based on the acquisition of new knowledge, skills and confidence? Here’s a new set of goals that we could start to embrace in Community Change Projects: We could also start by doing some Social Network Mapping of a community first and worry less about social demographics. We place conversations between participants at the centre of our project and we seek to cultivate relationships between participants. We bring people together and give them something to do … together. From conversations and relationships comes transactions and action. This is where simple, free applications like Twitter and Blogs come in – Enrol the Cognitive Surplus of participants and give them to tools to contribute to the content and process of the project. Allow participants to self organise and connect wit each other outside the workshops. Make it fun and easy – some will get involved and some won’t … let go of the expectation of any outcomes. More on these thoughts later … I can feel an essay/guide book coming on! A great presentation – use visuals! In this video, Andy Hobsbawm shares a fresh ad campaign about going green — and some of the fringe benefits. Andy is the European chair of Agency.com and the founder of the website Green Thing. admin | Creative Stuff, How Stuff Spreads & Changes, Lessons from C500 | Comments Off on A great presentation – use visuals! I rarely write long blog posts, but something has happened in my home Shire in 2008 that I must share with you! It relates to sustainability … community capacity … government and NGO partnerships … and a project team willing to allow direction and activities to emerge over time. It’s an exciting story with even greater possibilities for the future. This story also relates to the lessons our team learned in staging the Castlemaine 500 project. Last weekend I had the privilege of co-facilitating a sustainable transport workshop with participants in the Surf Coast Shire’s Casuarina project. In 2008, an ‘eco’ stream of the Casuarina Project has seen 17 local, community leaders come together over 7 full days and learn new skills and build the self awareness and the confidence to go out and run their own community projects. The Casuarina project started way back in 2001 and was developed by the wonderful Viv McWaters with the equally wonderful Di Mahoney cooordinating the show from the Surf Coast Shire. I was a participant in that inaugural year and feel honored to be facilitating the new crops of local leaders! I must say we have a great group of participants this year who have really ‘clicked’ with each other. We have formed an online Collective X community and it is thriving! Together with the Eco Casuarina participants, I designed an interactive workshop that focused on Sustainable Transport in the Surf Coast Shire. The Surf Coast Shire, together with the Victorian State Government’s Sustainability Fund, sponsored the project in 2008. Enter the Australian Conservation Foundation (ACF) and their Green Homes Program. The ACF have run community workshops in the Surf Coast on topics like saving Energy, Water and Waste in the home and their 4th workshop (Transport), was run by me and the Eco Casuarina team on their behalf. Eco Cas participants were able to participate in the previous workshops and ‘hone’ the skills they have learned in Eco-Cas by watching, listening and participating in Green Homes. So, in a nut shell, the national Green Homes program was adapted by local people, given a local focus and some local ownership sprinkled in. So why is this exciting? Well, this little transport workshop has pulled together many players in a complex field … the field of tackling climate change and building stronger communities. State Government, 2 arms of Local Government (enviro & community building departments), local community leaders and the ACF have all combined their skills and resources to create a little splash … but one that could lead to many future ripples. I’ll write more about this unfolding story in the near future. Here is the slideshow we used (along with some funky blues guitar) to kick start the workshop and get participant’s asking questions and thinking deeply about the future of transport in the Surf Coast Shire. View SlideShare presentation or Upload your own. (tags: transport sustainable) – many of the slides were downloaded from existing slideshows on Slideshare and the final slide acknowledges the sources tapped into to. Geoff Brown. After a couple of weeks in the blogging wilderness … I’m back! And I have a whole treasure trove of stuff to write about and explore with you. I have just finished a project called Castlemaine 500. In a nutshell, it was a community behaviour change project that sought to assist 500 households to reduce their household energy consumption by 15 to 30%. Our approach was to work directly with people in workshops and in their homes, provide information and facilitate the develoment of energy action plans. We worked with partners such as builders and hardware stores and ran a capacity building/leadership program along the way. There are lots of learnings to be shared and I’ll be doing my best to ‘make sense’ of the data, stories and evidence that we collected along the way. I hope that project participants, sponsors and other ‘behaviour change practitioners’ can find their way to these posts and make comments and add their own knowledge to what I start.